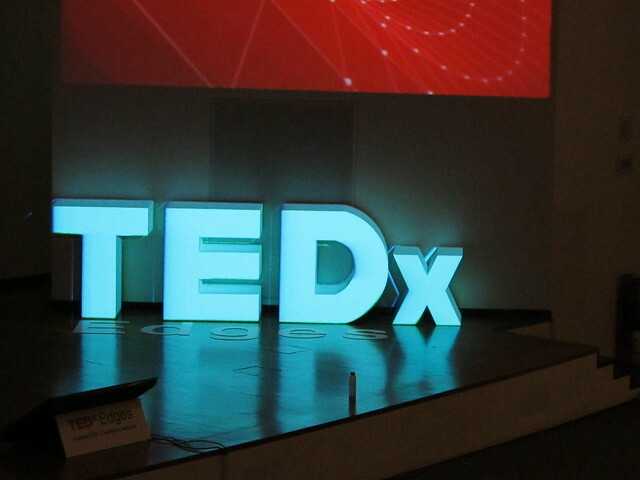 This TEDxEdges was a huge event, and Artica marked its presence on stage with the Einstein VideoPlayer adapted to play the videos between the talks, and with a video mapping system to display the data captured by biometric PLUX sensors. 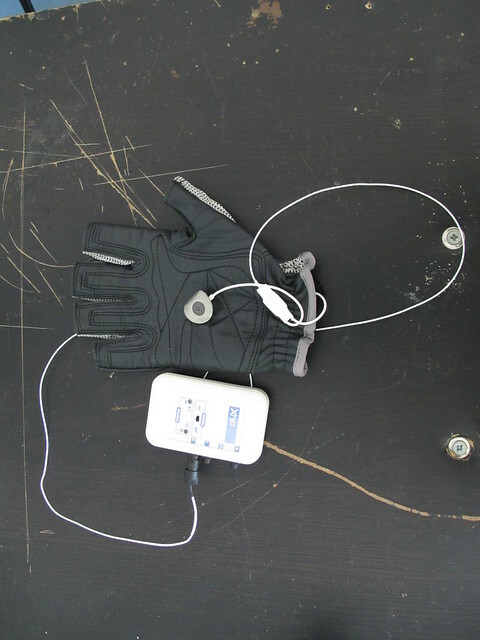 There were 4 gloves on the room, and each person wearing a glove would be able to send its emotions to the assigned ‘TEDx’ letter. 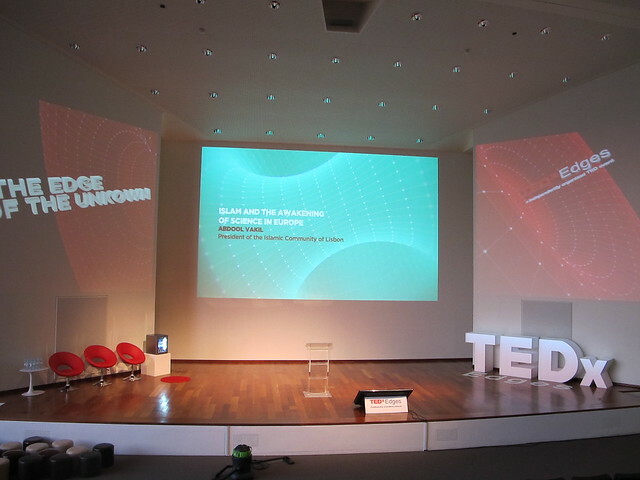 I went to stage with André to briefly present Artica’s presence on the event, they mentioned the Farruscos playing sumo, the Magabot in telepresence mode being driven by Francisco Dias and finally what was behind the ‘TEDx’ letters. 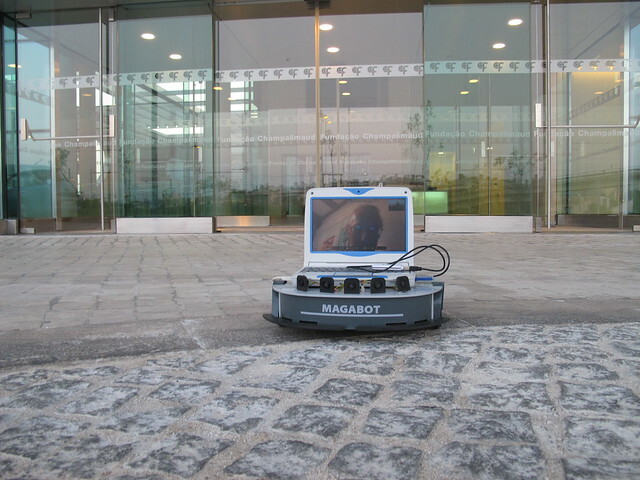 In the foyer there were an arsenal of 5 Magabots all available to be remotelly controlled in Telepresence. 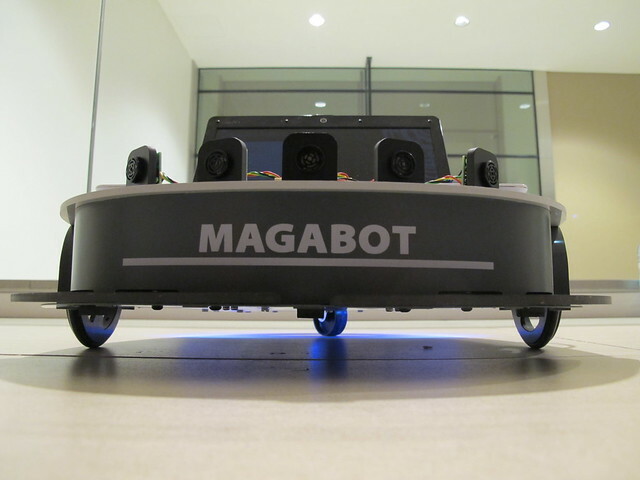 This system is made with Skype and simple interface running on the robot side. So all you need is a Skype account and nothing more. Then there were a troop of 10 Farruscos, Francisco Dias coded two of them to play sumo, and they are really fun to watch!! Farruscos did made the day of kids! 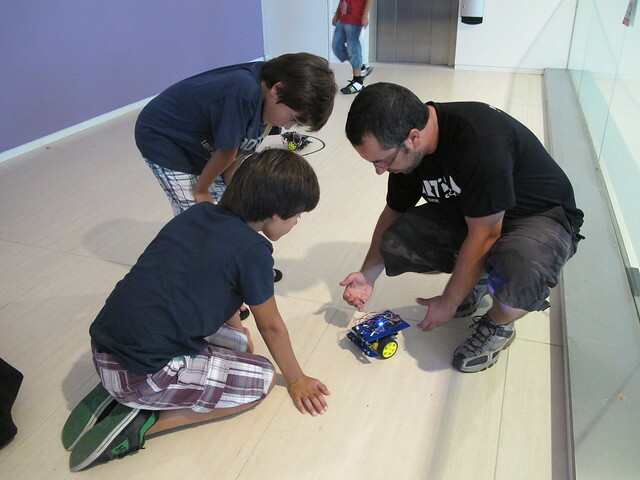 They were completly stunned with the little bots! 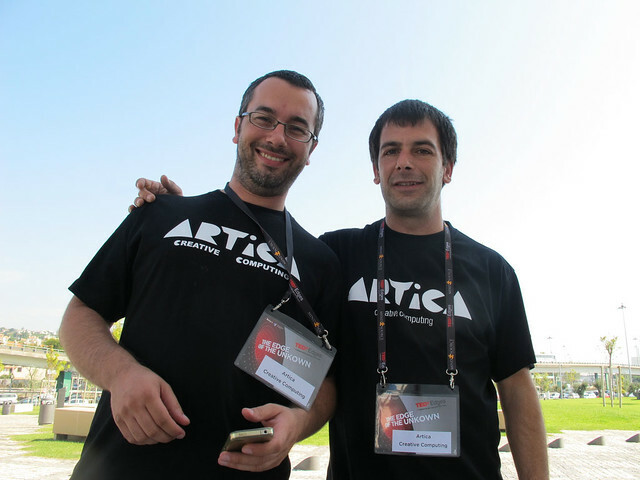 Artica’s team having lunch, the bests!! 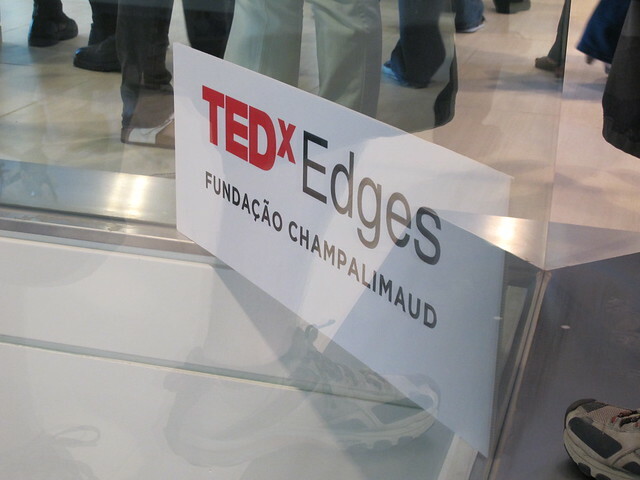 :) Fernando Gomes, André Almeida, Francisco Dias, Gonçalo Lopes and Guilherme Martins.